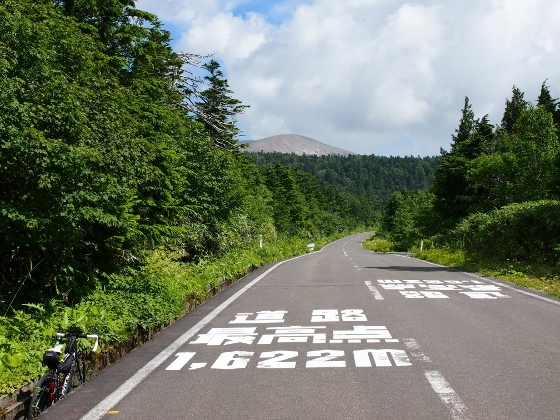 Today I pedaled again to Jododaira and climbed Mt. Azumakofuji. After that I walked around Okenuma Pond. 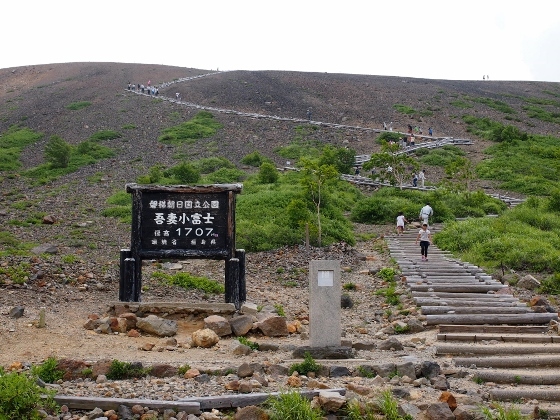 Above photo shows trail path to the crater of Mt. Azumakofuji which is 1707m high. At the top of the crater I could see inside as shown above. 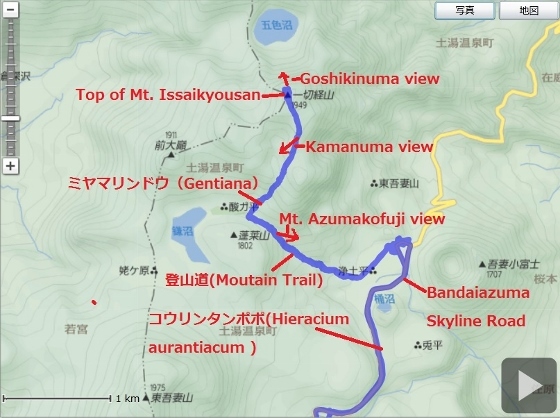 Above photo shows Mt. 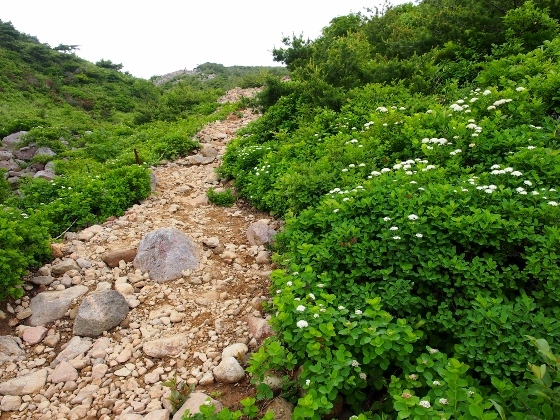 Issaikyousan viewed from the top of Mt. Azumakofuji. 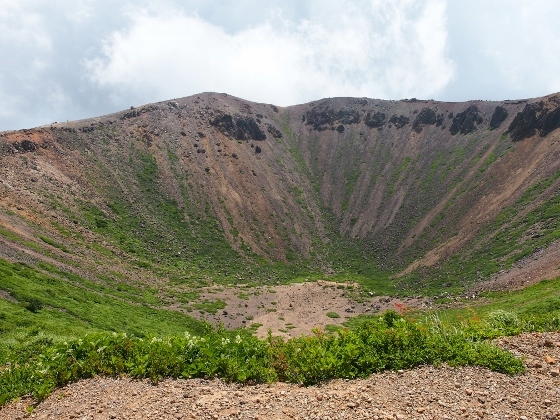 It took about an hour to walk around the crater. 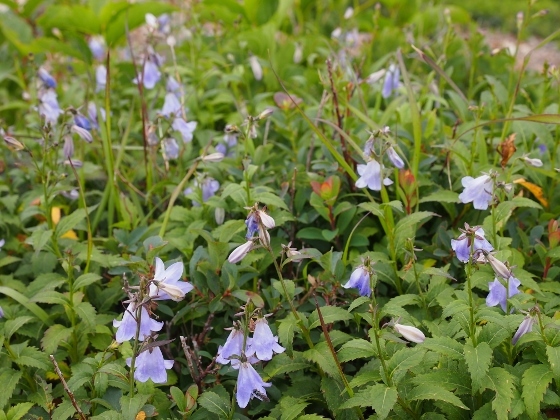 I found many bluebell flowers of Miyamashajin on the outer cliff. The location was red asterisk 1 in the map. 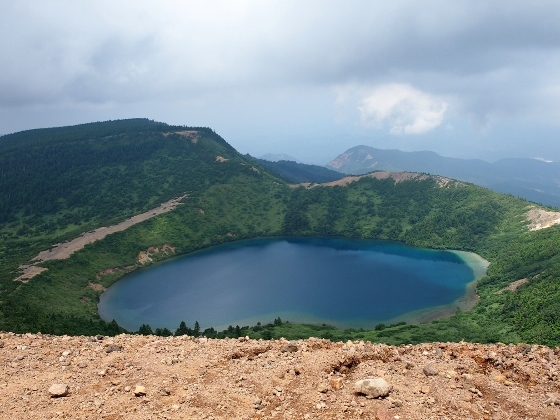 I felt fear walking on the path of the crater because both sides were steep cliffs. 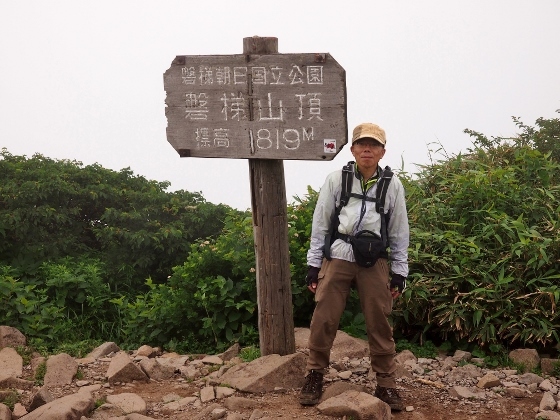 To make things worse sounds of thunder became larger and I hurried to climb down. 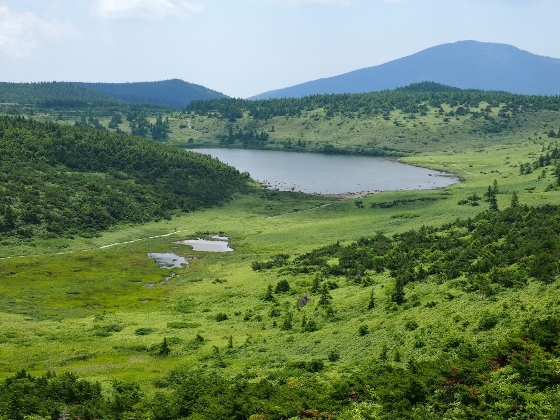 After the thunder passed away I visited Okenuma Pond nearby. 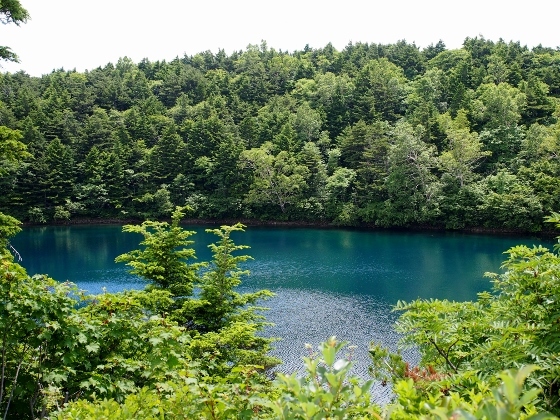 The Pond was beautiful with blue green color surrounded by green woods. The location was red asterisk 2 in the map. 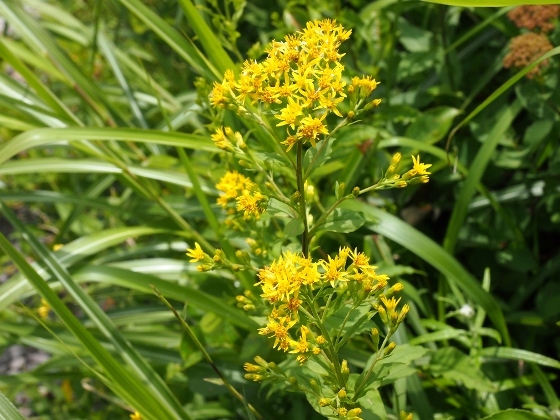 Near the entry point to Okenuma Pond I found yellow flowers of Solidago virgaurea var. leiocarpa as shown above. 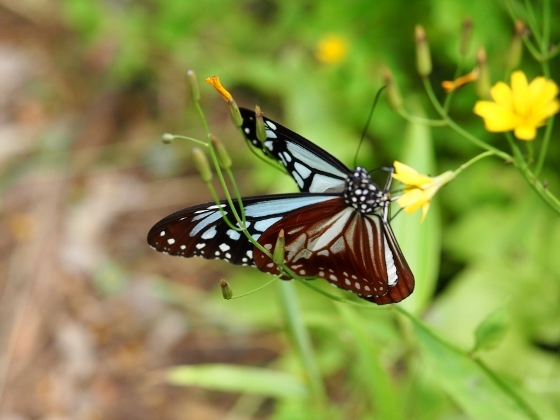 I also found large and beautiful butterfly near the pond. It was Parantica sita which used to travel as far as Nansei Islands. 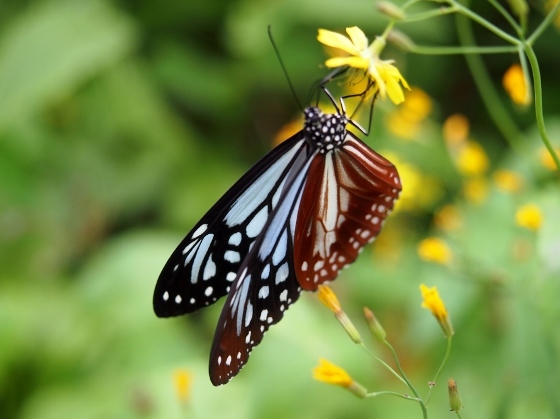 I could sometimes see them around Jododaira usually flying softly. Tonight I stay at Sagamiya Ryokan of Shinnoji Onsen at Tsuchiyu Pass. 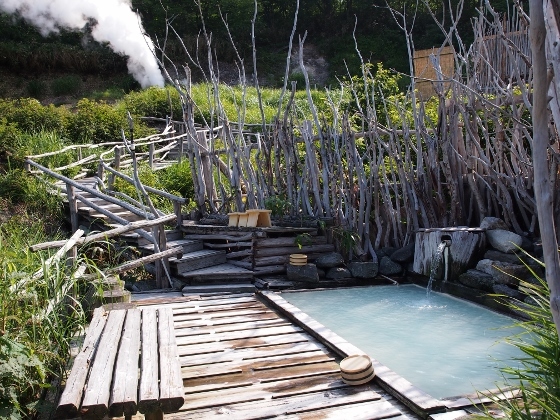 They have their own sulfur hot spring source naturally coming up to earth as shown above. They also have open air bath as in the picture. 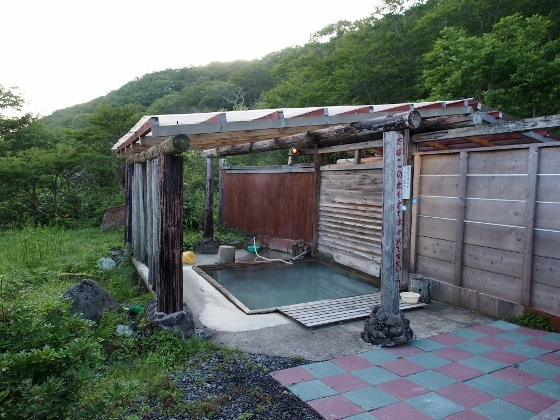 The inn is a member of Japan Association of Segregated Hot Spring Inns. Today I visited Mt. 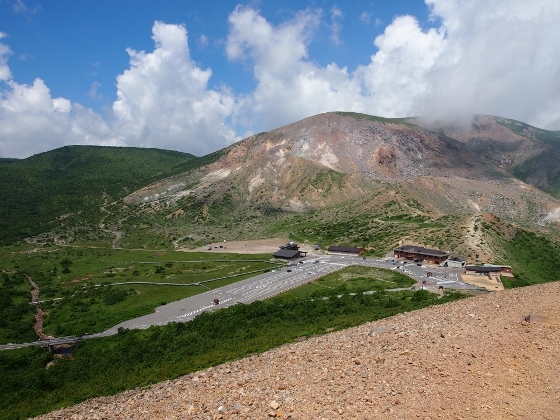 Bandai which was located in the south of Urabandai. 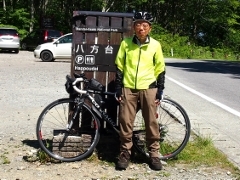 This time I chose to start from Happoudai Trail Gate which was located at the highest point of Bandaisan Gold Line Road. I pedaled my bike to the Happoudai Gate. Mt. 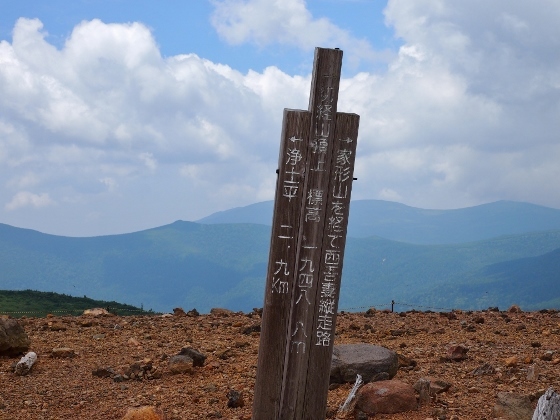 Bandai is 1816m high and there are two other adjacent peaks: Mt. 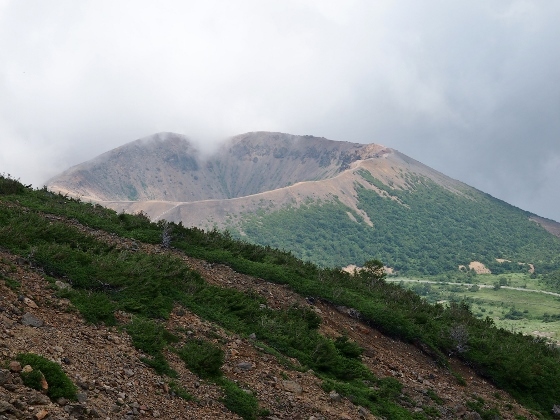 Kushigamine which is 1636m high and Mt. Akahani which is 1430m high. 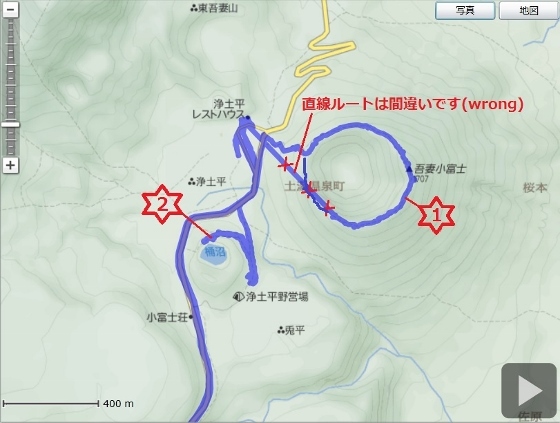 Since the three peaks are located in triangle, one can see different views from different directions. 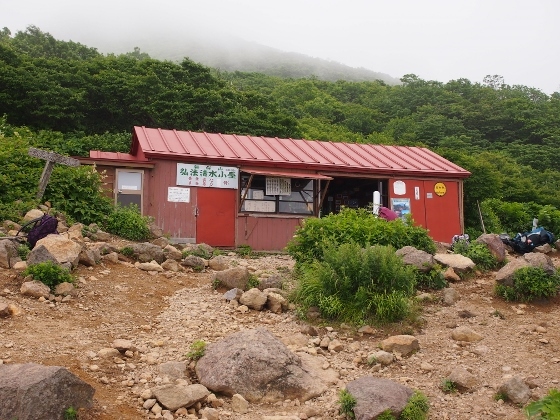 Starting from the Happoudai Gate (red asterisk 1 in the map) I arrived at Kouboushimizu Mountain Hut (red asterisk 2 in the map) in about two hours with my slow pace. 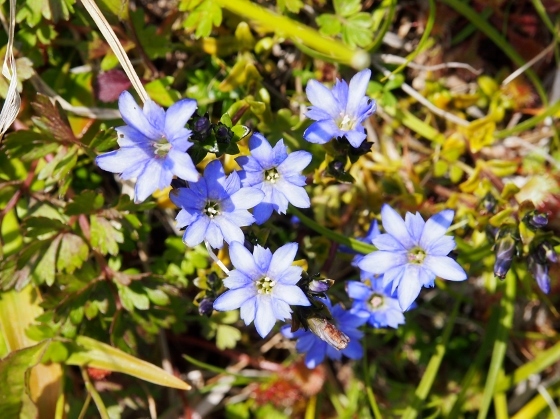 Flowers could be found between the hut and the top of the mountain. 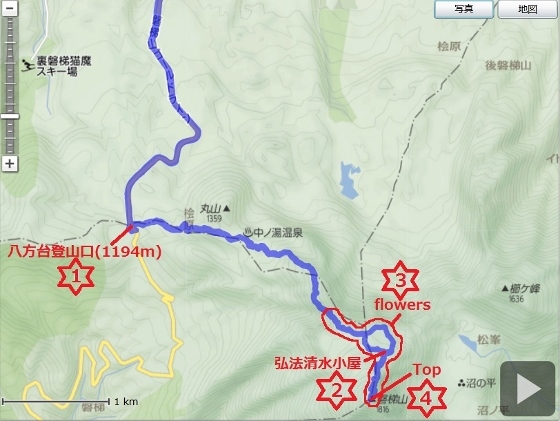 Flower area was shown as red asterisk 3 in the map. 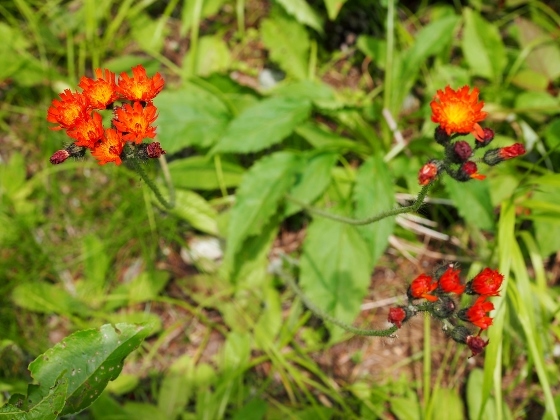 White flowers of mountain larch are shown above. 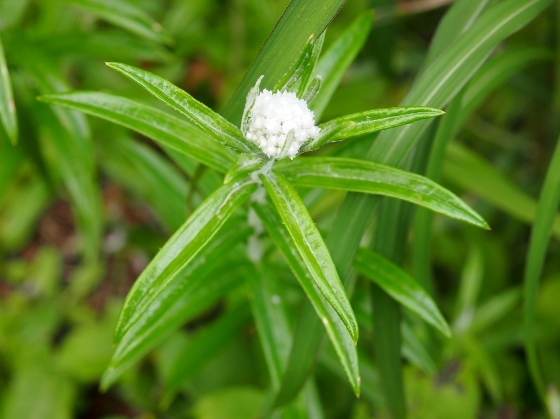 Yellow flower of Iwaotogiri is shown above. 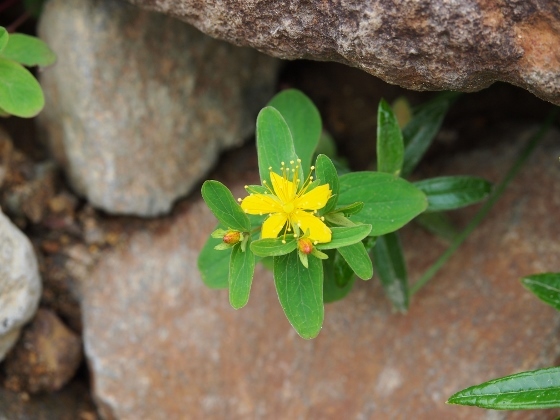 The plant came up from between rocks. 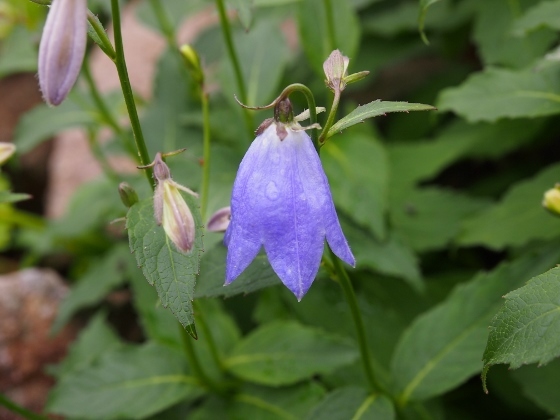 A bell shaped flower of Miyamashajin is shown above. 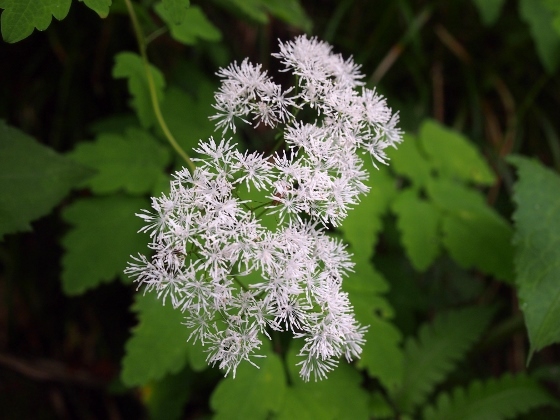 White flowers of white Hananigana are shown above. 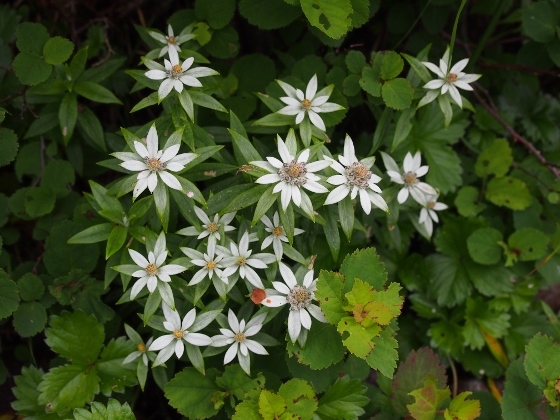 White flowers similar to edelweiss are shown above. 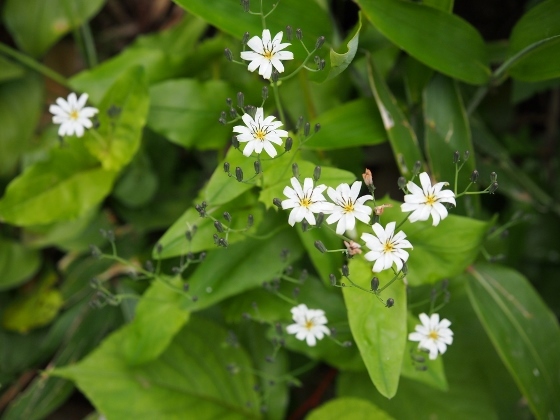 These are called Usuyukisou. 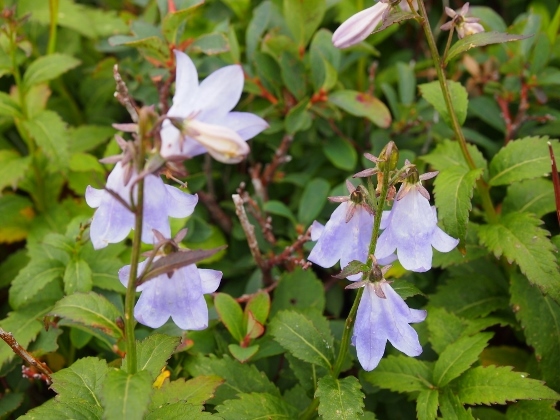 They were in full bloom near the mountaintop area. 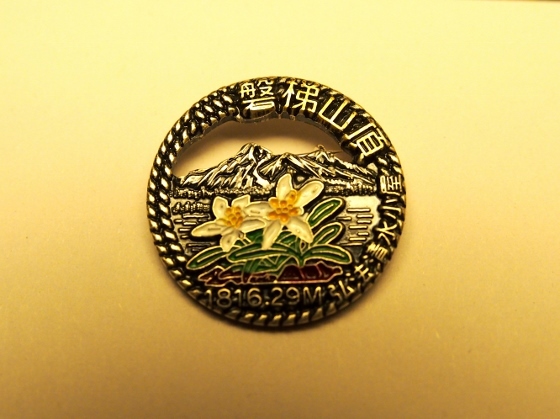 The Usuyukisou flowers were arranged in a souvenir badge sold by the mountain hut as shown above. 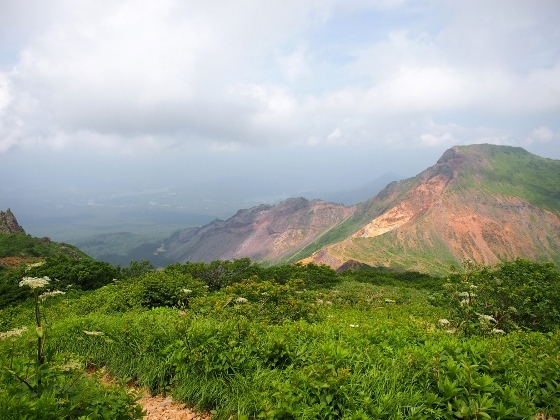 Above photo shows the top of Mt. Bandai with no view due to heavy cloud. One of climbers there took my picture. When I returned to the mountain hut from the top slight sunlight appeared only a few seconds. Above photo was taken at the moment. Mt. Kushigamine can be seen in the right side. 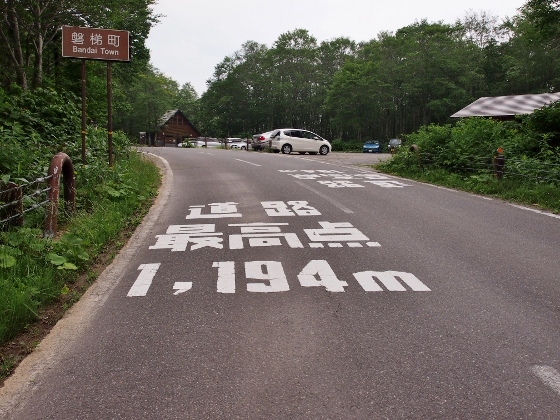 I checked the easiness of the climb to the mountains during this summer. The result was as shown below. It was in opposite order of the height of the mountains.